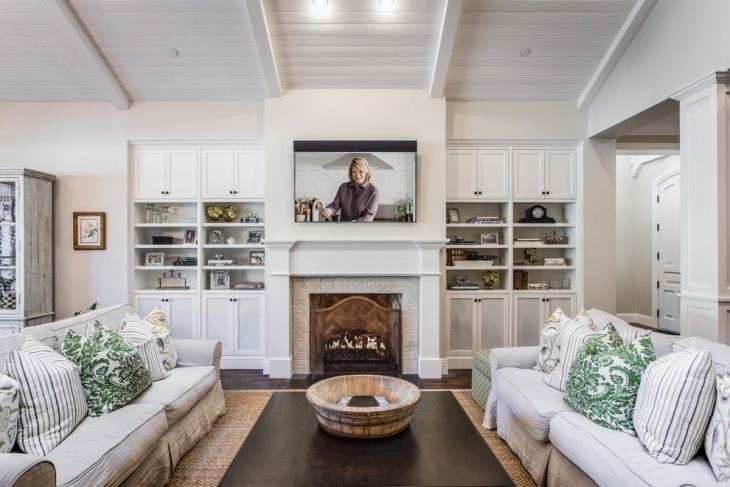 The living room is the heart of the home; this is where you spend most of your time, and it is also where you host your guests when they visit you. For this reason, it should be the best room in the house. 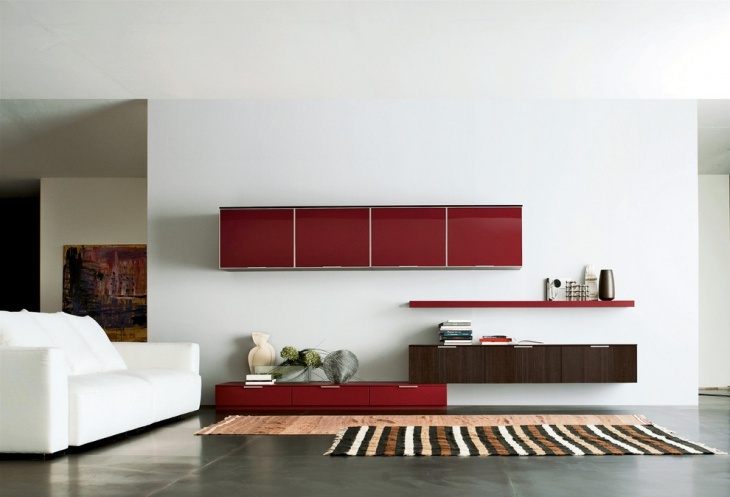 Having a fantastic living room cabinet draws attention to the beauty and synchronization of the room’s design. 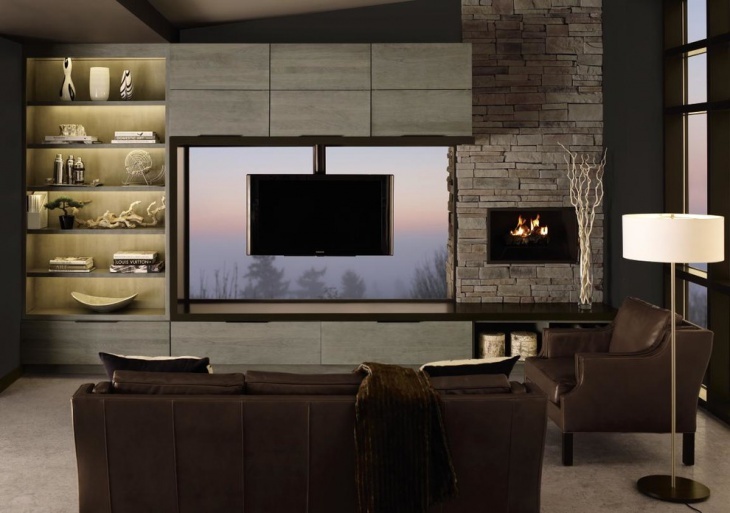 Try out some of the living room cabinet designs described below for a serene or striking home. This is a two-part living room cabinet in gray color. The two pieces are set on opposite sides of the wall, which serves as a divider. This cabinet is set in white, giving the room a tranquil atmosphere. 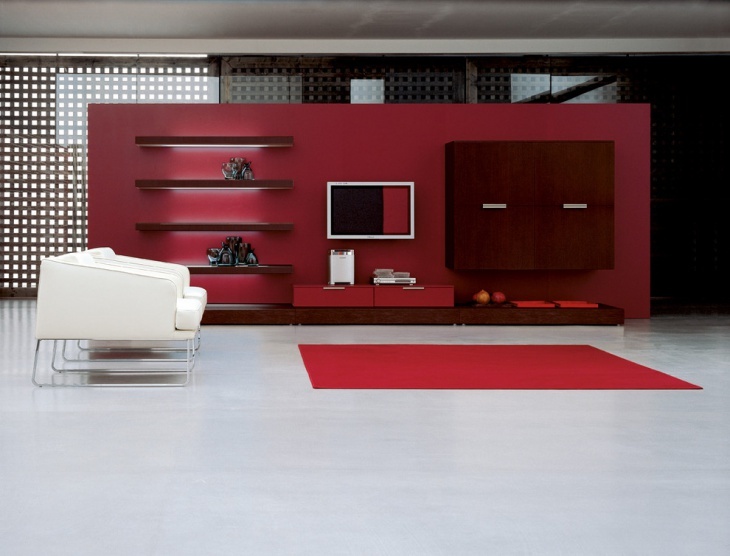 White is also a good color to give the illusion of space. This is the traditional cabinet design for contemporary homes. It has several drawers where you can store different items. This is a cabinet set in traditional styles. 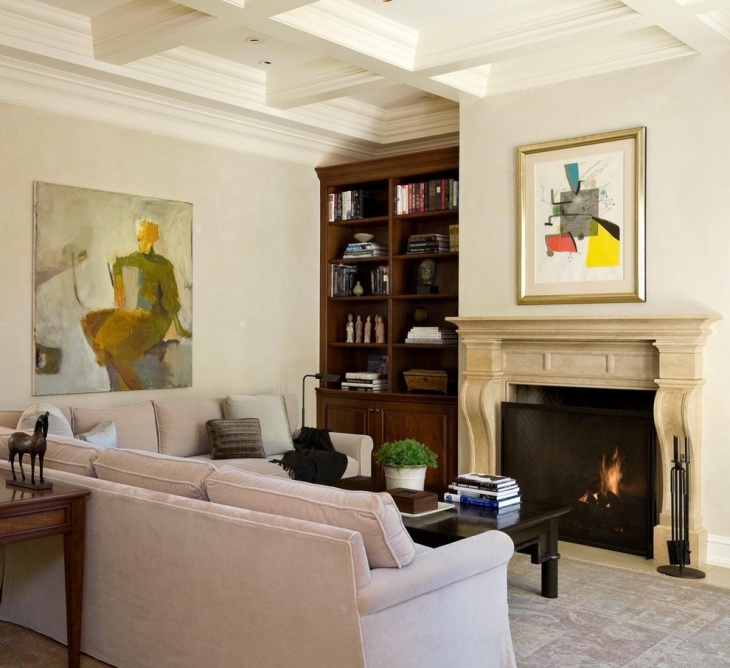 It is great for storing your library of books to add color and character to the room. This is a serene, white cabinet that has a dividing wall in the middle. 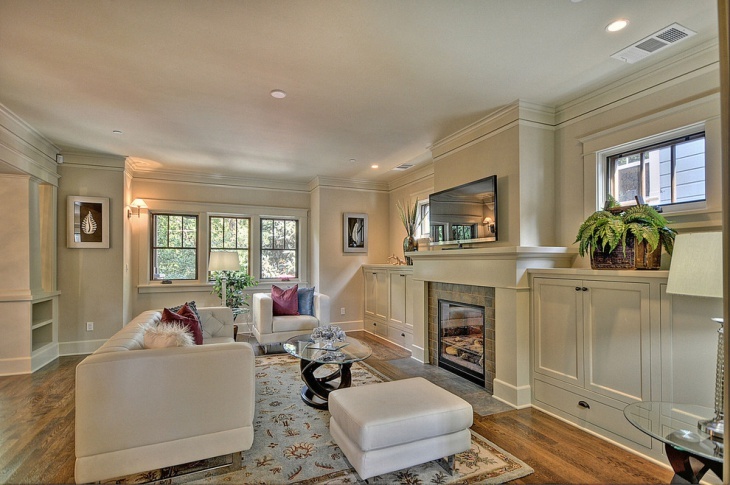 It is ideal for a home that has a fireplace in the middle of the room. 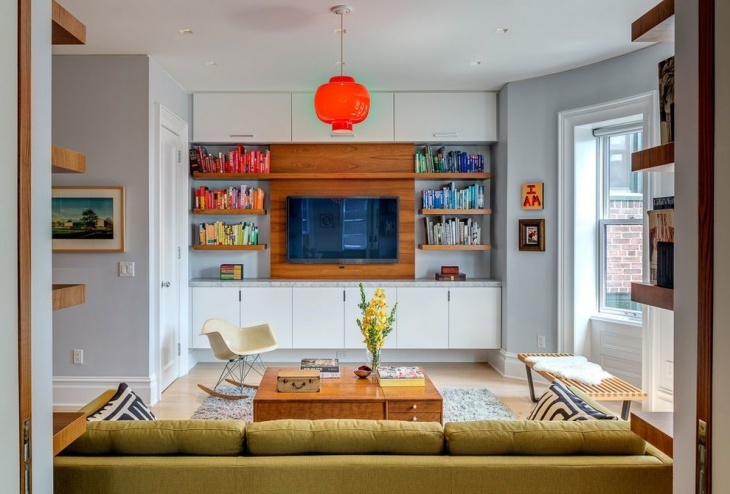 This is a fantastic, wide living room cabinet that takes up the whole wall. It has enough space for a very big TV. 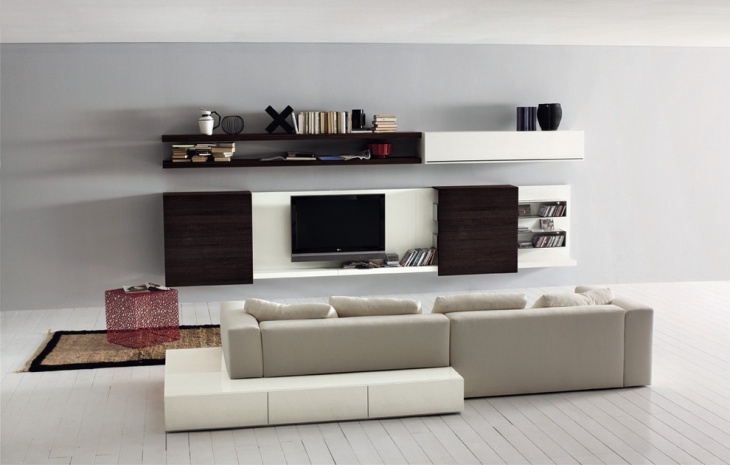 This is a contemporary living room cabinet with clear cut lines. It gives the room a pristine, clinical look. This is a mid century cabinet design in brown wood. 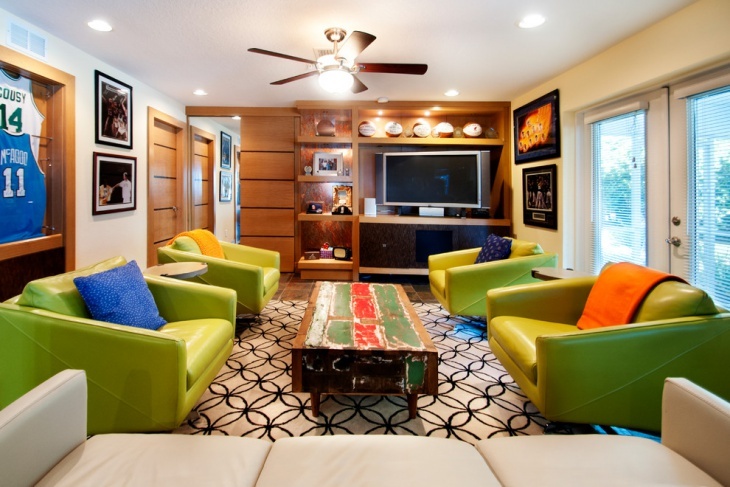 It has a vintage look and can provide contrast to a contemporary home. 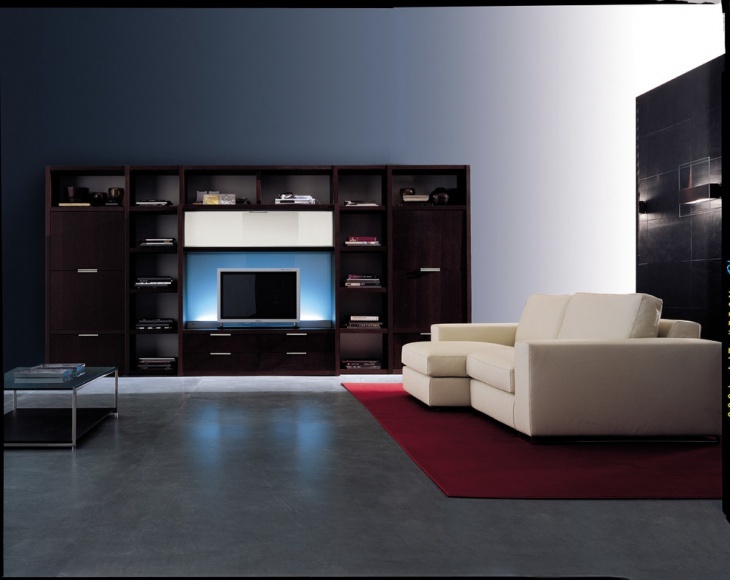 This is a contemporary storage cabinet for your books, TV and entertainment units. It has a clean minimalistic look. 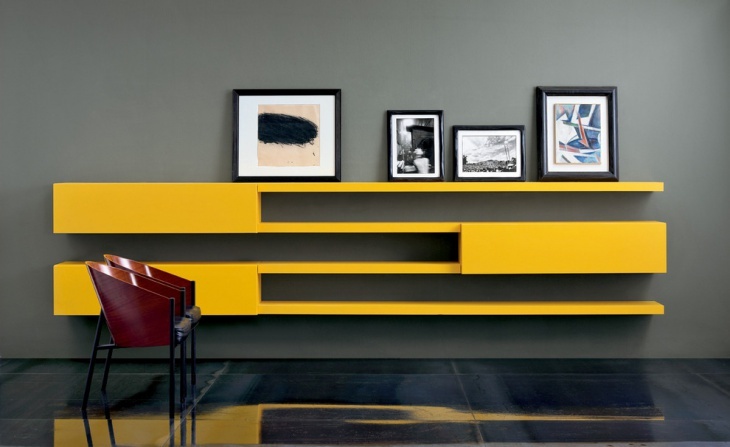 This is a striking cabinet with a yellow color against a gray background. This makes it stand out and draw the viewer’s eye. The name says it all. 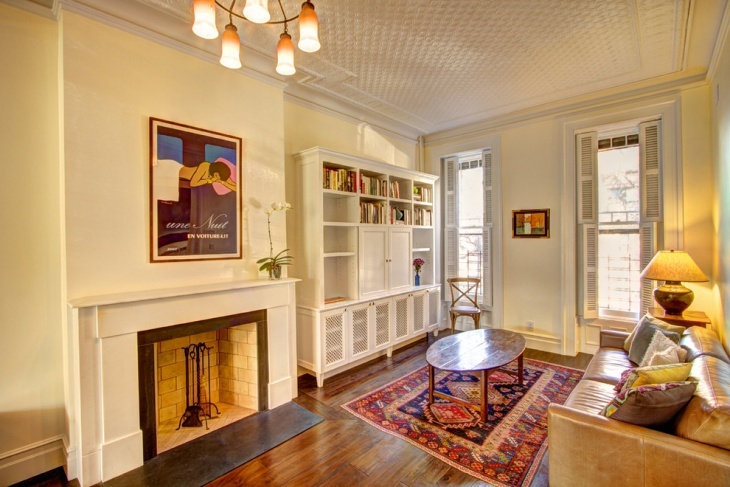 The room is filled with furniture of all colors and this draws attention to the magnificent cabinet on the wall. 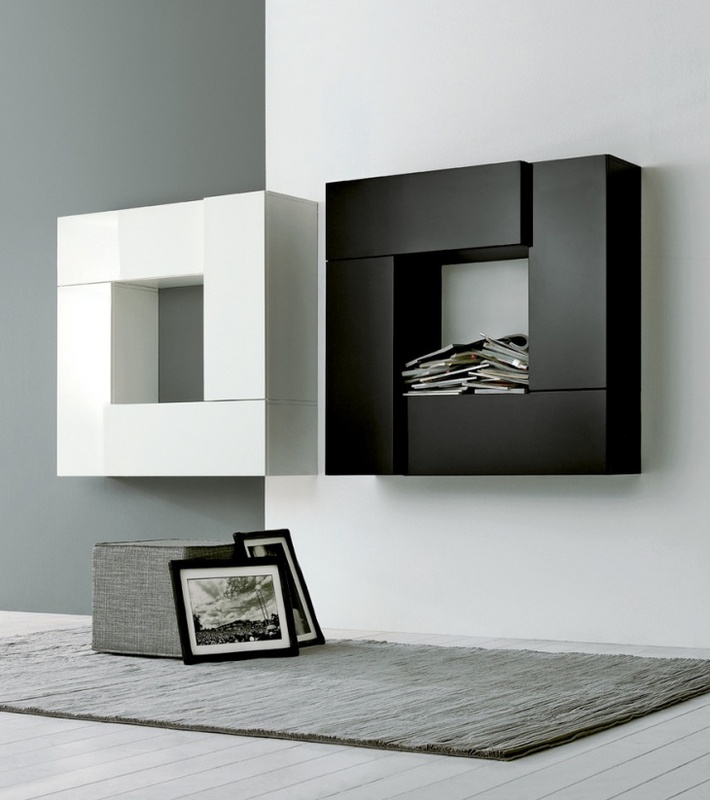 This is a cabinet design resembling two boxes mounted on the wall. It is a great place to stash your magazines and other small items. 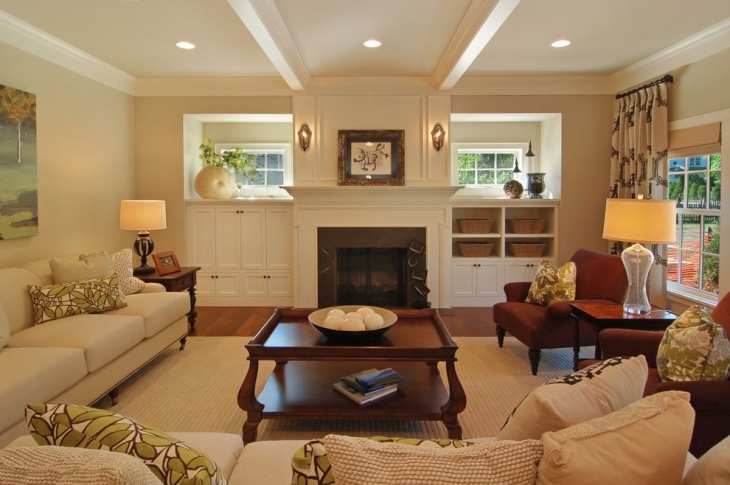 This is a serene design in white and covers the wall completely. It only stretches to the middle of the wall and not the top. 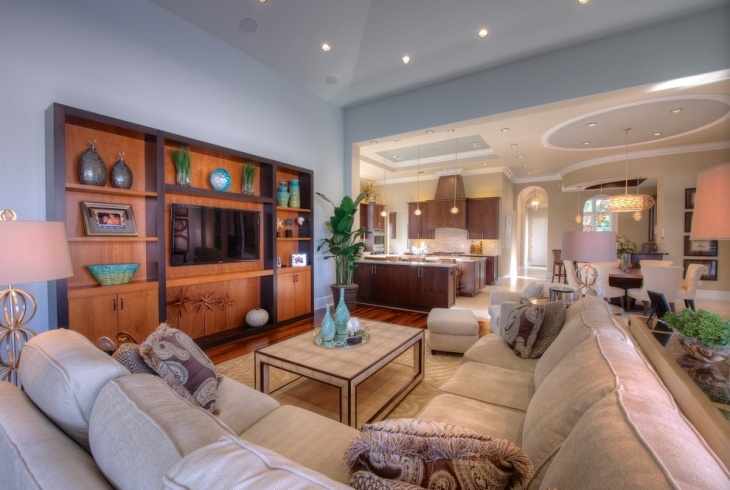 This is great for a living where you want the dining area and the living room to be separate. Each of these has a different cabinet design. 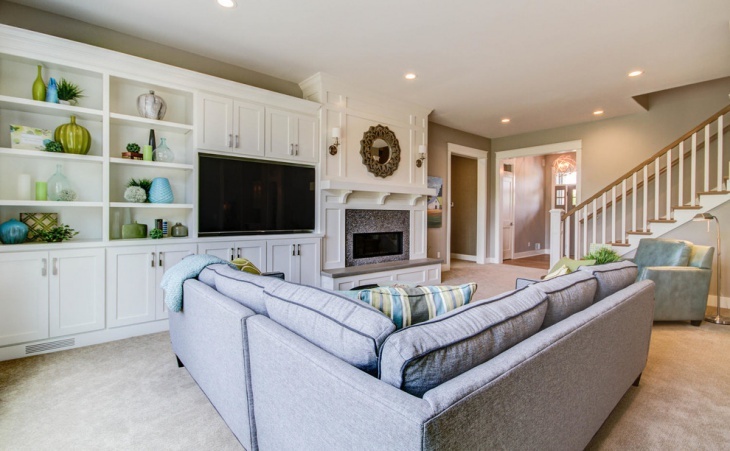 You put a lot of thought and investment into making your home look good, and your living room is the actual face of the home, seen by all who enter. These designs will make your home truly unique.